Welcome back to my BricsCAD Journey. I hope you’re learning as much as I am! At our last stop we focused on tools for editing entities. Most of those tools let you change the entity itself. For example, you might trim a line or rotate dimension text. The manipulation tools, which we’ll explore today, let you modify those entities in the context of the rest of the drawing. Typical examples include Move, Copy, and Rotate. You can access most of the manipulation tools using typical methods such as the command line. They’re also available on the Modify tab of the Quad when you select or hover over an entity. Unlike Edit tools which can vary significantly for different entities, the Modify tools are relatively consistent. For example, they include Erase, Move, Copy and tools to specify draw order. Some entities such as dimensions, hatches, and blocks, also include the Explode tool. 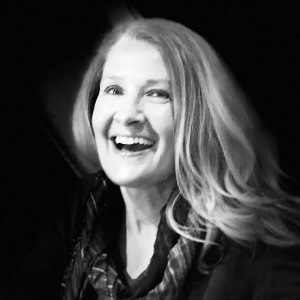 Since you’re probably familiar with all the traditional modify tools from your AutoCAD® experience, I’ll focus on the one that’s unique to BricsCAD, the Manipulator! 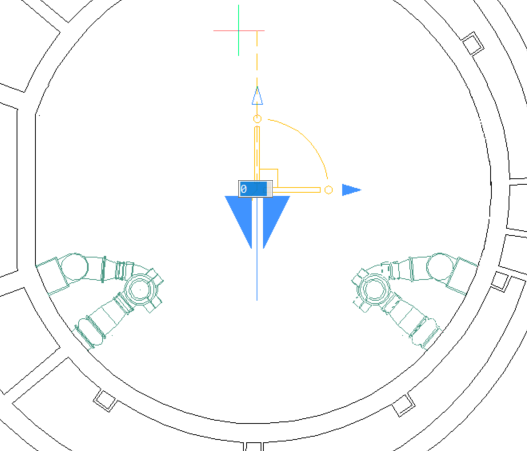 The Manipulator is somewhat like the 3D Gizmos in AutoCAD (not available in AutoCAD LT). In BricsCAD the Manipulator is useful for both 2D and 3D entity manipulation. Therefore, it’s available in all BricsCAD editions including Classic. You can access the Manipulator from the Quad when objects are selected. It’s also accessible via other methods including the MANIPULATE command. With this single Manipulator tool, you can move, rotate, scale, copy and even mirror the selected entities. And, you can easily do so while constraining them along a specific axis or plane. Right-click on the Manipulator to access additional controls including a toggle to switch the Arrowhead behavior between Mirror and Scale. By default, the Manipulator displays at the center of the selection set. To move it, you can select the relocate grip and pick a new base point for the manipulation. As you move it across the drawing, it can automatically align with geometry enabling you to manipulate along any relevant axis. The default alignment is with the current UCS. 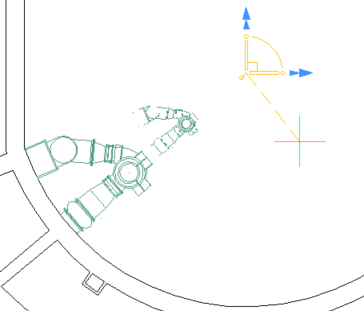 Options on the right-click menu offer additional controls to reorient and align the Manipulator. 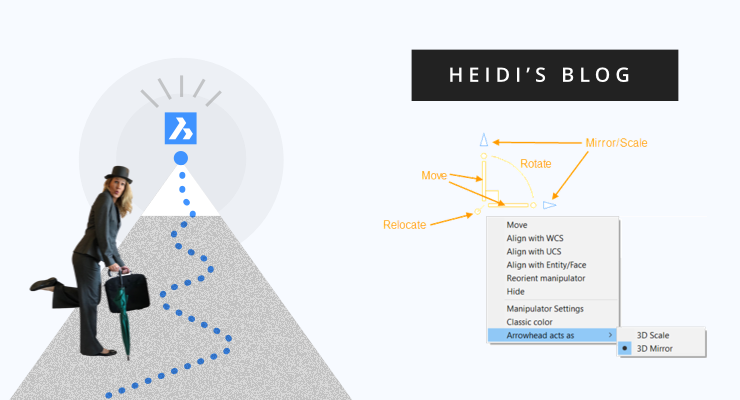 With the Manipulator properly oriented, you can click an axis or plane to move the selected entities. Their movement is automatically constrained to the specified axis or plane as you pick the second point. 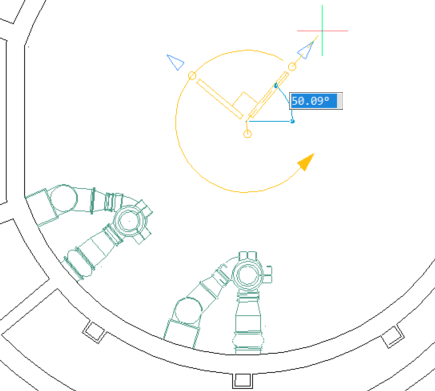 To rotate the entities around the basepoint of the manipulator, select the rotation arc. Select one of the arrowheads to mirror the entities along either axis. Mirror is the default behavior for the arrowheads. You can change their behavior to Scale using the right-click menu. 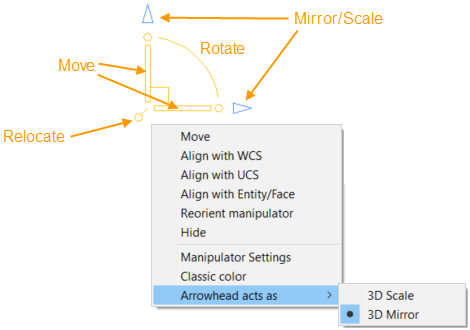 With the arrowhead behavior set to Scale, you can select either arrow to scale the selected entities from the manipulator basepoint. As you perform any of the four operations using the Manipulator (Move, Rotate, Mirror, Scale), you can create a copy of the selected entities. Simply press the Ctrl key as you select the operation. There are many ways to select entities for editing and manipulation. You can use traditional selection methods based on your previous CAD experience. 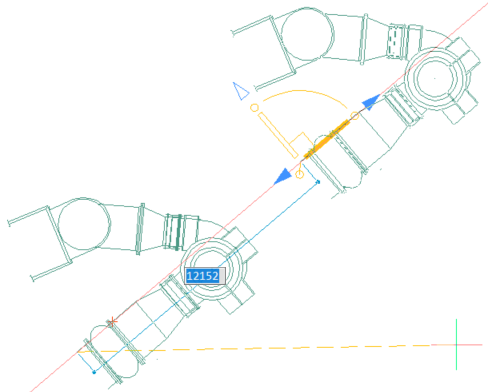 However, BricsCAD also offers a pretty cool method that you’ve probably never seen before. I’ll introduce you to it at the next stop on our BricsCAD Journey.